You are here: Home / Books / A novel about women’s soccer "When Girls Became Lions"
A novel about women’s soccer "When Girls Became Lions"
When did you last read a sports-book where a woman was the main character? When did you last read a novel where the female character did heaps of sport? Biographies I could list a few, but fiction? There’s one on my shelves, just one – Heartbeat by Sharon Creech (read it!). Americans Valerie J. Gin and Jo Kadlecek were equally frustrated and decided to do something about it. Not just shout, but write a novel. Set in the world of girls’s soccer (sorry purists I know it’s “football” but coming from a family where Gaelic Football, rugby and soccer were all played I plump for the clearest description), the novel has a message running underneath the fun and games. 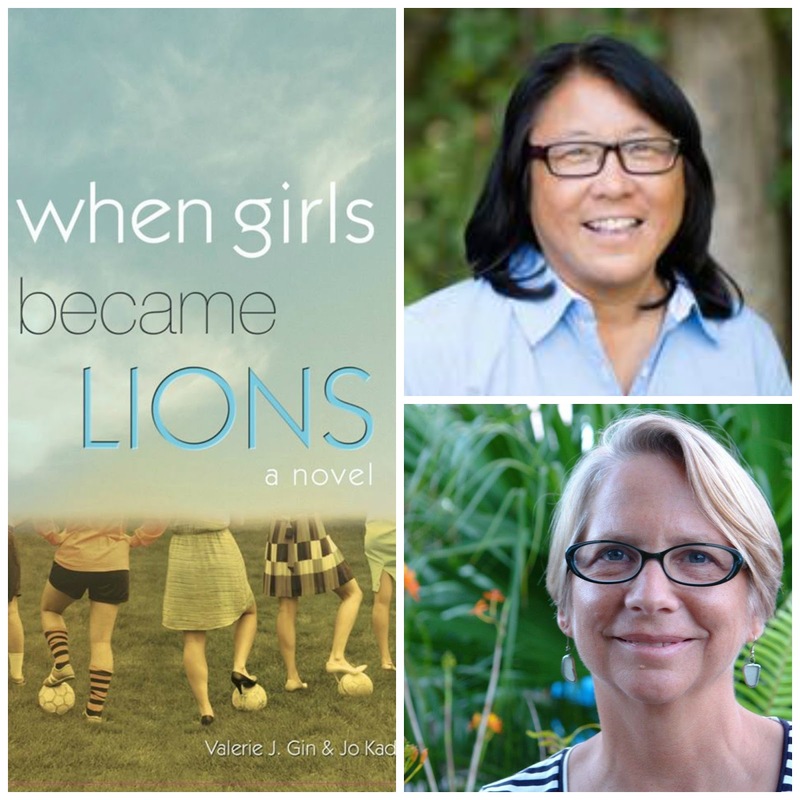 It’s called “WHEN GIRLS BECAME LIONS”. Jo and I met in that lovely Twitter way a few months ago, but she lives in Queensland, Australia now so we spoke by email. Q: Start with the basics, why do you love soccer so much? Val and I grew up in different parts of the U.S. playing several sports: Val played volleyball, basketball, softball and skied. I participated in little league softball, soccer, tennis, track. In high school, because of Title IX, like Val I joined the basketball and volleyball teams. Val went on to play college volleyball and basketball. When I got to college, I joined the club women’s soccer team and LOVED everything about: being outside, the smell of freshly cut grass, the creative way the game is played, the decisions each player has to make as the ball moves around, and of course, the physical demands it required. I’m not surprised soccer is the “world’s favorite game”: your size, economic status or language skills don’t matter. You just need a ball and a pitch! I love the easy accessibility it offers to any one who wants to play! Q: In your novel the 1983 team is coached by a man, and the modern team by a woman. Does this reflect the changes you see today? Honestly I know of many programs today where both men and women serve effectively as head coaches. But the primary reason we chose to create these two characters was to show that both women and men helped foster these new opportunities for women athletes—and still do. Sure, some men don’t support women sports but many do. We wanted WHEN GIRLS BECAME LIONS to convey that reality. Besides, we both have had important men in our lives who believed in us as athletes and coaches, just as we’ve had many women role models who coach as well. Q: You live in Australia now, home of the Matildas and come from America, what support do you see now for women in soccer? Obviously, in the U.S. the success of the World Cup reinforced the game’s popularity for girls and women players as well as fans. The Matildas were equally inspiring and heroic, I think, during the World Cup but my sense (and I’ve only lived down under 7 months) is that women’s professional soccer here has a long way to go before it attains the equal status and pay it deserves. Still, I’m told the game is wildly popular for young women but it’s not easy in a country that’s dominated by male sports—as Australia is. I do think the family support has become much stronger in both countries from my own time as a player because the health and character benefits of team sports and athletic exercise have been reinforced so much that athletics are more acceptable, encouraged even. SO it’s an exciting time for female athletes and we’re hoping our novel conveys a small portion of that that while also inspiring more sports novels for women! 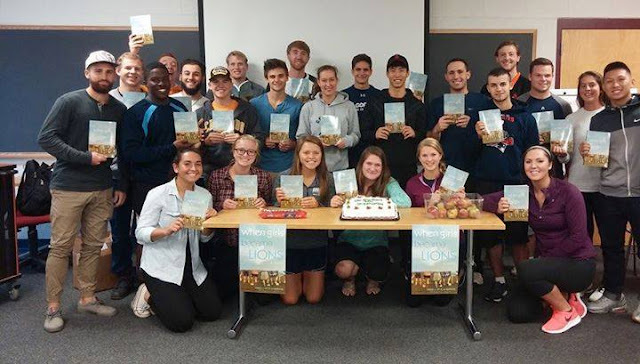 Order WHEN GIRLS BECAME LIONS online here w special deals for teams. Or follow the novel on Facebook.